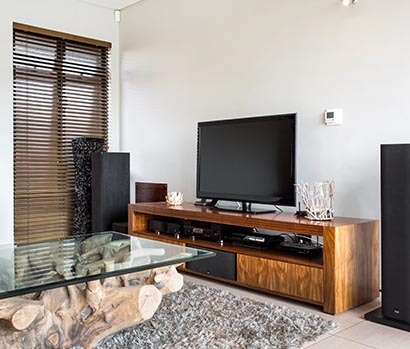 Venetian Blinds are characterised by their horizontal slats that can be tilted to adjust privacy and light. 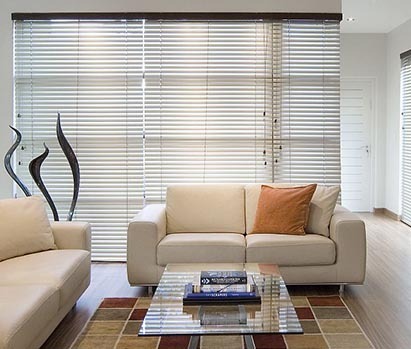 Venetians Blinds are available in wood, wood alloy, aluminium or as an aluminium slat with wood trimmings. 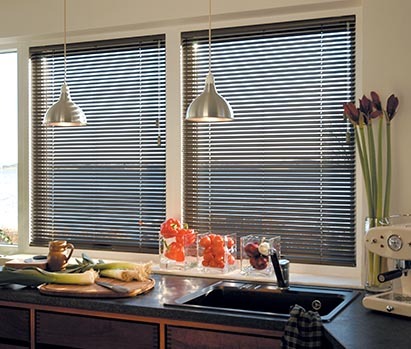 A Venetian blind can also be lifted completely if required.